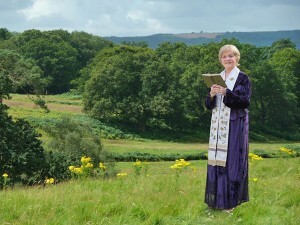 As a OneSpirit minister/celebrant I have an open approach to spirituality that embraces the truth of all faiths or none. Together we can create ceremonies around what is important to you, whether your ideas are traditional, alternative or a fusion of the two. A ceremony is sometimes referred to as a rite of passage or ritual and can prove to be a powerful experience. Usually witnessed by others, it empowers us to progress from one stage of life to the next. 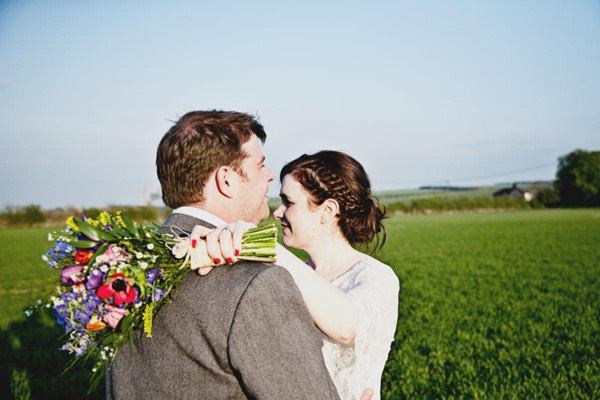 Ceremonies can take place almost anywhere: In the garden, on the beach, a wild flower meadow or in a hot air balloon – the sky, really is the limit! Make promises that hold meaning and value for you and your child. Remember those unable to be present for whatever reason by lighting a candle. Blow bubbles in celebration of the occasion. Hold the ceremony at home, in your garden. 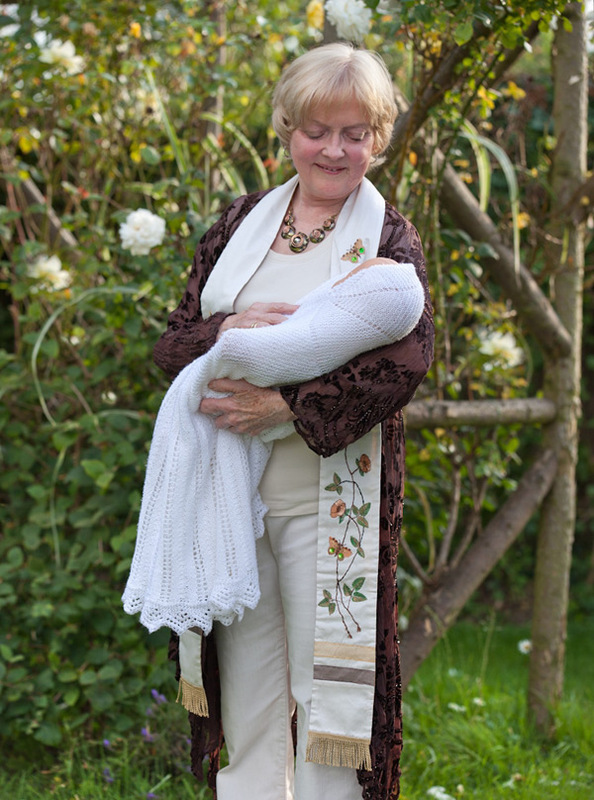 Testimonial for a baby naming ceremony: ‘With a deep love of nature but with no particular religious faith we felt unsure how to celebrate the arrival of our son, Adam. 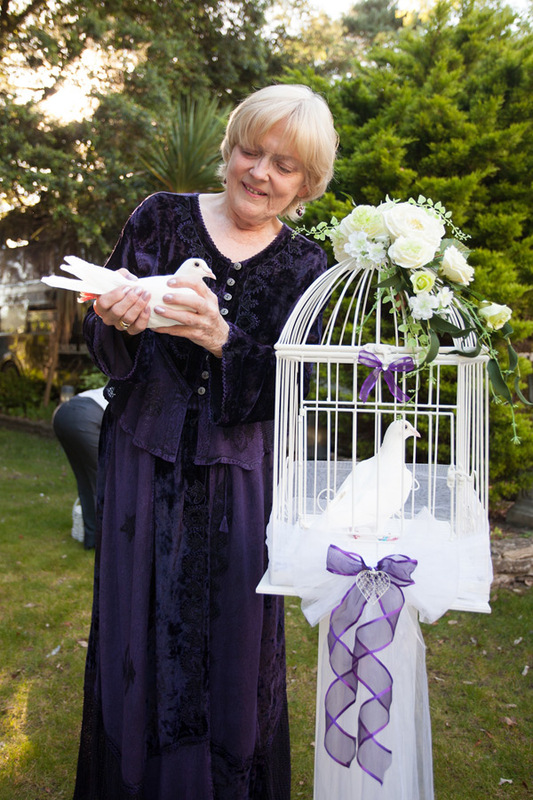 With Jean’s imaginative guidance we created a beautiful ceremony which took place in our cottage garden beneath the willow tree. Everyone wrote wishes for Adam on cotton flags and tied them to the willow tree. Jean suggested we ask special friends to be guardians to Adam for Male Youth, Wisdom, Creativity and Spirituality. A day full of truly wonderful memories thank you Jean’ – Carrie and Brian Cort. Together we can create the ceremony of your dreams: A blessing on your marriage, a hand-fasting, a relationship blessings, a civil partnerships and vow renewals. Choose an unusual place for the ceremony. Wedding Blessing testimonials: ‘Thank you so much for officiating at our wedding. You have been fantastic, helping us to develop ideas and enabling us to have our day our way! Your input and guidance has been brilliant, we can’t thank you enough!’— Helen & James. ‘Thank you so much for making our day so magical – the ceremony was everything that we had hoped! The thought and time that was put into The Blessing was greatly appreciated and made it ‘our day.’ We will treasure the words and look forward to reading them in years to come reminiscing on our wonderful memories. We hope you enjoyed the day as much as we did. Thank you so much, all our love Sam & Tom. Testimonial for a house blessing ceremony: ‘Jean Francis designed a house blessing ceremony for me when I moved, into a small & unloved flat. Her own gentle presence & the creative ritual she designed so beautifully, enabled me to turn an empty house into a welcoming home. Maybe we all need such a tangible Blessing Ceremony to experience the Divine in our daily life.’ — Sue Cash. For advice on funerals, whether it be creating a personalised ceremony or pre-planning your own funeral or that of a loved one: contact me. Create a personalised ceremony that reflects the life-style, interests and beliefs of the person involved. Select music, poetry and readings that are personally meaningful and reflect the loved one’s life. 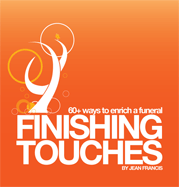 Encourage mourners to sign a special book or cards with their personal memories of the deceased. 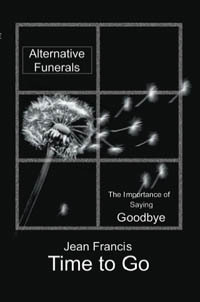 Testimonial for a pre-planned funeral: ‘Thank you, Jean, for your inspired, humorous and down-to-earth approach to a subject that is so often considered taboo’ — Tricia. Release a pair of white doves as a symbol of peace and let them soar. 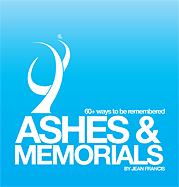 Mingle cremated ashes with those of a loved one and perhaps a pet and scatter to the wind but be sure to note the wind direction. Sparkle as never before. Using modern technology, cremated remains can be made into diamonds. Have the gems put into rings, perhaps one for each daughter? Why not go out with a bang by having cremated remains put into a rocket that is fired into space as part of a celebratory firework display? Testimonial for an ash scattering ceremony: ‘Jo, Roger, Felicity and I all want to thank you from the bottom of our hearts for everything you’ve done for us. You made the day complete with your wisdom and kindness. So many people have been thanking us by email and letter, it’s been quite overwhelming. Mum and Dad would be proud.’ — Anna.